Music in The Park continues on Sunday afternoons in August at Bandon’s City Park. This is a free event open to the public sponsored by the Greater Bandon Association and the City of Bandon Parks and Recreation Commission. 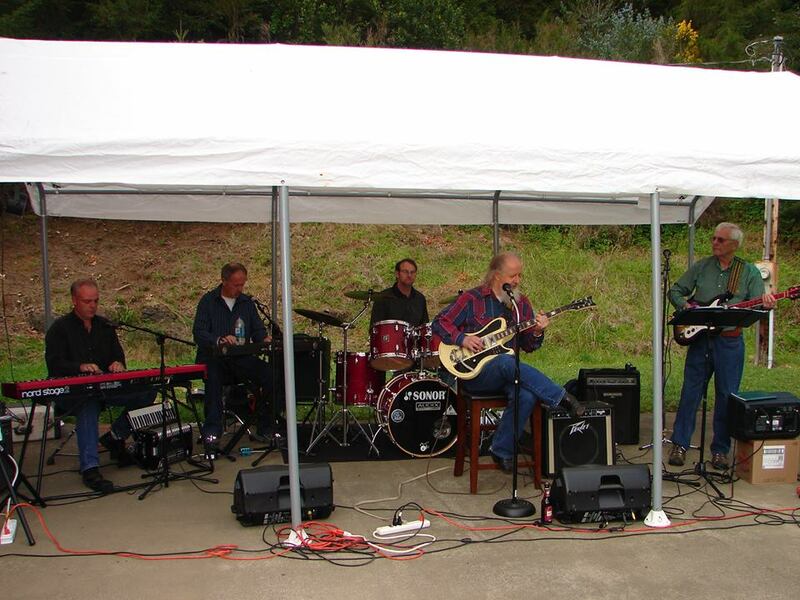 Big Creek Rendevous will be featured at the next Music In The Park on Sunday, August 14th from 1 to 4 PM. Big Creek Rendezvous plays classic country and old time rock music. Members include Bob Shaffar, Kirk Schumacher, Jerry Carpenter, Mark Isenhart and Greg Scott. Music in the Park continues on each Sunday in August with a wide variety of performers. Local artists to be featured in the series include among others: Tanya DePaolo (next week) and Caught Red Handed and Ken, Bob and Rob. So bring your chairs, blankets and picnic baskets and join us on Sunday afternoons in August in Bandon’s City Park.